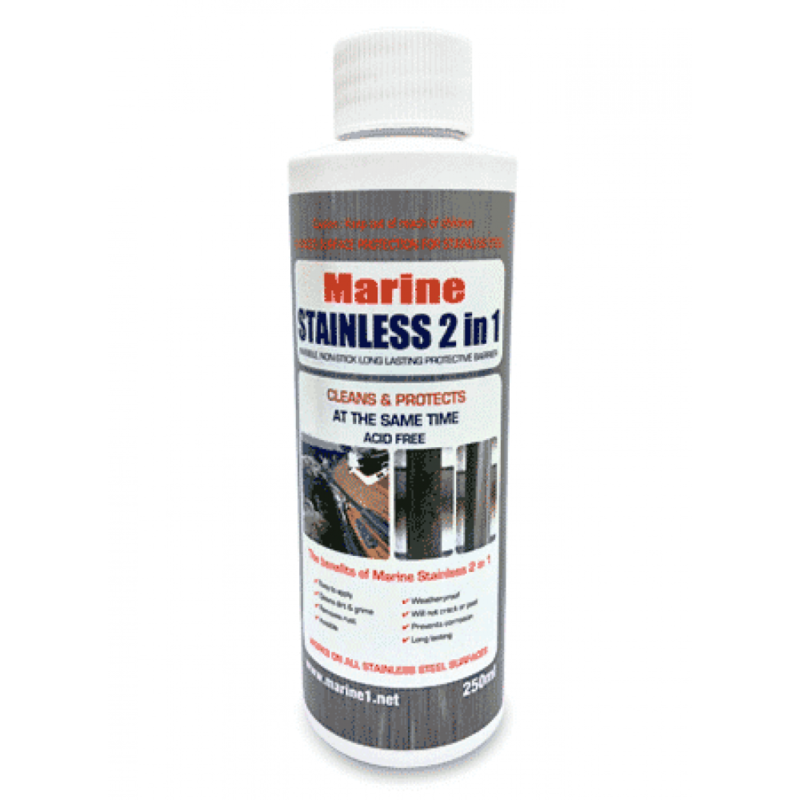 Marine Stainless 2 in 1 is an invisible, anticorrosive treatment where the surface preparation is included with the protective solution. It provides long-term corrosion protection on a range of metal surfaces. The slight abrasive properties clean and remove all dirt and contaminants, while the protective components adhere directly to the substrate to provide a long lasting, easy to clean and protected surface. The treatment is resistant to friction, is UV stable and handles temperature changes. Treated surfaces repel water and are protected against the elements. 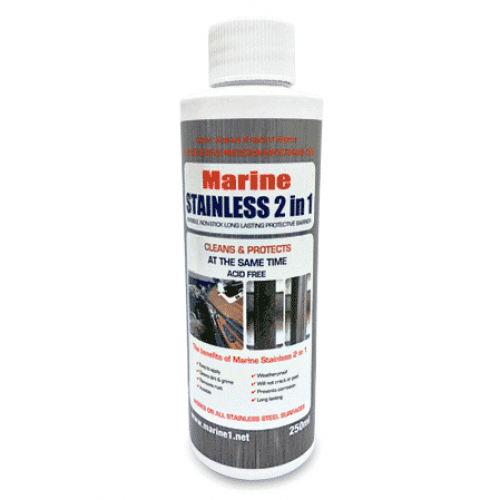 Marine Stainless 2 in 1 is especially suited for protection of stainless steel. Once a metal surface has been treated, almost everything can be simply removed with a damp cloth.